​From a formal perspective, as an aggregate of labor legislation and judicial precedents, Korean labor law has remained in full effect since the enactment of the Labor Standards Act and other three labor-related acts in 1953. 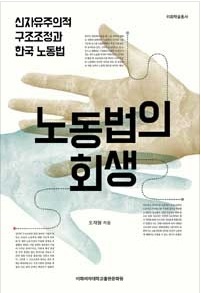 However, in substance, from the view that the purpose of labor law is to protect the human dignity of those making a living on labor, Korea’s labor law was negligent in its duty, at least for the decade following the 1990s, often ostracizing those in need outside of the protection of the law. The failure of any legal system to fulfill its normative duty imperils its coherence and legitimacy. Therefore, the abovementioned period can be referred to as “the labor law crisis,” where people perceived the law as being subject to change whenever the market demands it, and compliance with the law was understood to depend on the will of businesses. 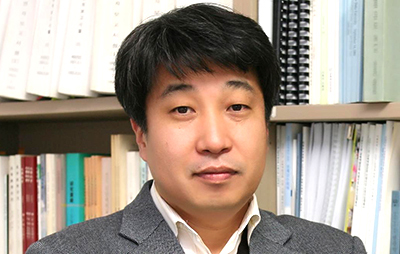 As the word “revitalization” in the title implies, the author traces the process in which Korean labor law recognized its duty again and recovered its normative force and legal coherence, following the decade-long crisis that resulted from the neo-liberal restructuring policy implemented in Korea. First, he analyzes court rulings in labor cases and explains the process of revitalizing Korean labor law, citing changes found in court rulings since the mid-2000s. This is because the labor law’s revitalization began with a change in the legal principle behind rulings on irregular labor. The courts were the very elements that initially caused the labor law crisis by following the neo-liberal restructuring policy, and at the same time, responsible for the restoration of the normative force of labor law. In particular, the tangible improvement of the actual conditions facing irregular workers was made through legal precedents, though some efforts were also made by the government. The author compiles the results of individual research on court rulings from labor cases and explores the challenges that the courts faced and how they dealt with such challenges, at a time when the nation was undergoing social and economic changes. After the mid-2000s, labor law scholars began to focus on the changing legal principle of court rulings and studied their significance and effects. However, such work was limited to individual rulings involving each issue, making it difficult to grasp the whole picture in terms of their implications for Korean society. In this book, to overcome the aforementioned limitations, the author takes a comprehensive approach to the changing legal principles in every aspect of labor law, and the results illustrate the courts’ responses to social problems such as the expansion of the working poor, social polarization and informal employment. Next, this book intends to identify the future challenges facing labor law, by looking into relevant research results and various legislative discussions. Despite the changes in legal rulings on labor cases throughout the past decade, many labor providers remain in the blind spot of labor law and social insurance law. Meanwhile, newly-emerging labor issues such as the working poor and informal employment cannot be solved solely by adhering to existing interpretations of labor acts. It requires new legal interpretations as well as new legislations that can grant due rights to those who are entitled, and impose due responsibilities on those who are required to bear them. This book highlights this issue, under the aim to identify issues to be resolved in the future by the revitalized labor law.